The effects of the antibiotic drug ceftazidine on Staphylococcus aureus bacteria. The antibiotic kills the bacteria (red) by causing the cell wall to disintegrate (yellow remnants). Antibiotics are chemicals that kill or inhibit the growth of bacteria and are used to treat bacterial infections. They are produced in nature by soil bacteria and fungi. This gives the microbe an advantage when competing for food and water and other limited resources in a particular habitat, as the antibiotic kills off their competition. Antibiotics take advantage of the difference between the structure of the bacterial cell and the host’s cell. They either prevent the bacterial cells from multiplying so that the bacterial population remains the same, allowing the host’s defence mechanism to fight the infection or kill the bacteria, for example stopping the mechanism responsible for building their cell walls. An antibiotic can also be classified according to the range of pathogens against which it is effective. Penicillin G will destroy only a few species of bacteria and is known as a narrow spectrum antibiotic. Tetracycline is effective against a wide range of organisms and is known as a broad spectrum antibiotic. Bacteria are termed drug-resistant when they are no longer inhibited by an antibiotic to which they were previously sensitive. The emergence and spread of antibacterial-resistant bacteria has continued to grow due to both the over-use and misuse of antibiotics. Treating a patient with antibiotics causes the microbes to adapt or die; this is known as ‘selective pressure’. If a strain of a bacterial species acquires resistance to an antibiotic, it will survive the treatment. As the bacterial cell with acquired resistance multiplies, this resistance is passed on to its offspring. 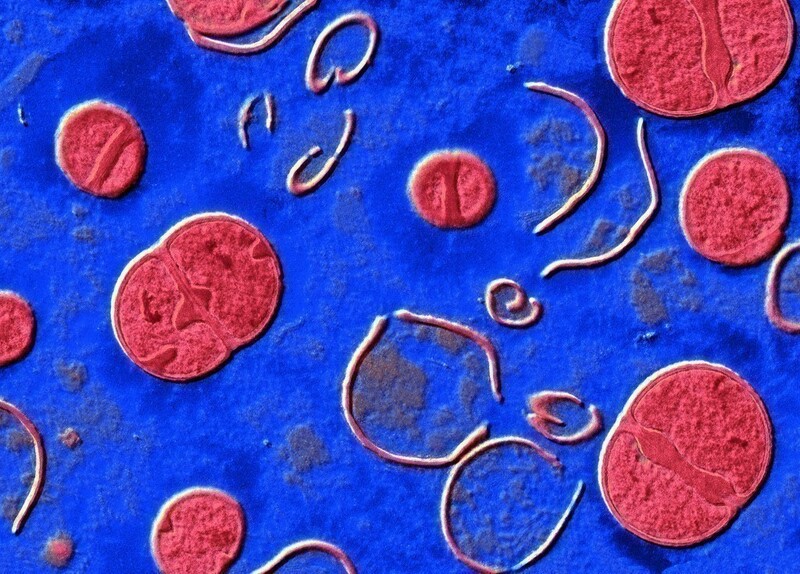 In ideal conditions some bacterial cells can divide every 20 minutes; therefore after only 8 hours in excess of 16 million bacterial cells carrying resistance to that antibiotic could exist. Antibiotic resistance can either be inherent or acquired. Some bacteria are naturally resistant to some antibiotics due to their physiological characteristics. This is inherent resistance. Acquired resistance occurs when a bacterium that was originally sensitive to an antibiotic develops resistance. For example resistance genes can be transferred from one plasmid to another plasmid or chromosome, or resistance can occur due to a random spontaneous chromosomal mutation.